So today I finished up somewhere between Fernley in Lovelock Nevada. I put in a full day but I felt like I was going slow. 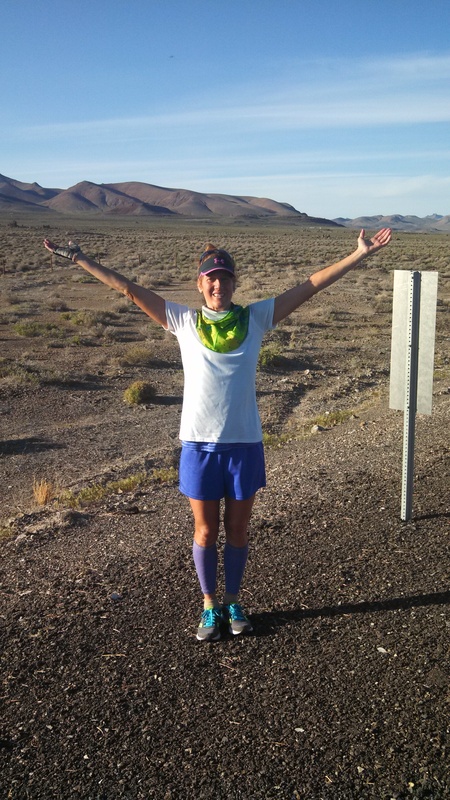 I think it was a combination of the Desert Sun, the hills, and some a cumulative fatigue. I started off the morning with a 60 percent grade going up a rumble strip that road was 14 miles long. But it was cool because it was a free range horse area. I have been trying to post pictures and quick statements each day on my Facebook page. I will attempt to maintain this blog but as you can imagine I do not have much time or battery on my phone to put things on the internet. Once again I think everybody so much for all of the support that I am getting. It is very hard to feel down when so many people are cheering for me. 4 Responses to still running! I join you in the quiet center, the out beyond… each of your steps a pioneer, pacing forward in the eternal skies… reeling in another sunrise.